The drift boat is a great way to relax and enjoy the tighter and more subtle spots on a river. It's powered and steered by oars which mean no loud motor. 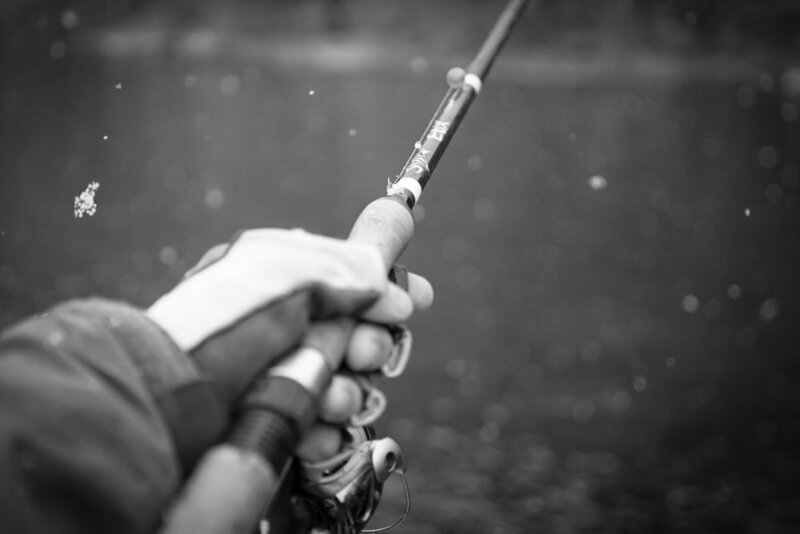 Drift quietly down the river and enjoy watching fish and wildlife around you. It's a smaller vessel so the trips are limited to 3 people. Still capable of navigating small rivers, the jet boat is a more seaworthy vessel powered by a motor. This means that if you find a hot hole, you can cruise back through quickly and efficiently. It’s also more spacious, allowing for parties up to 6. 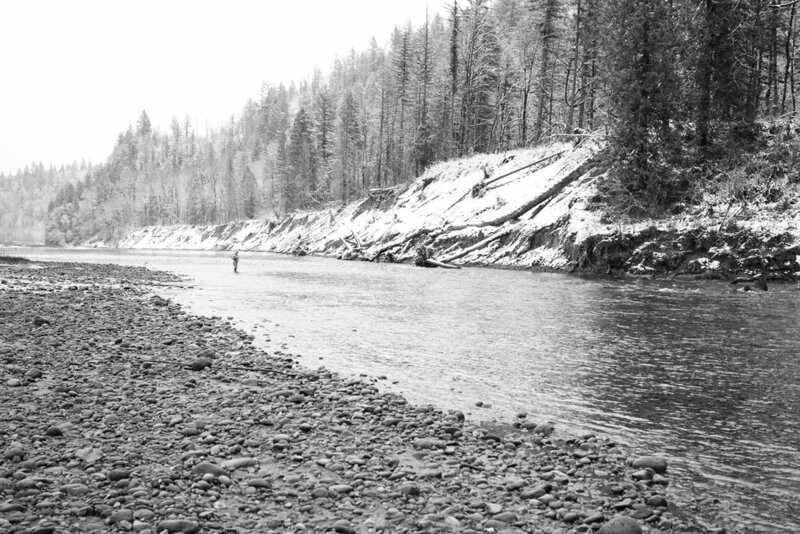 The Sandy River is a 54 mile long tributary of the Columbia River that is home to good runs of Chinook and coho salmon and steelhead. 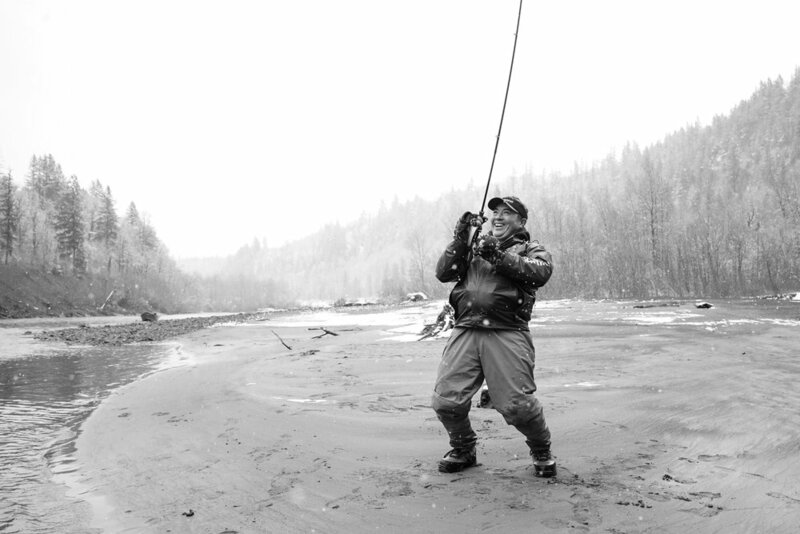 Located only 14 miles from Portland, the Sandy has easy access points for fishing year round. This river is suitable for either jet or drift boat depending on water levels. 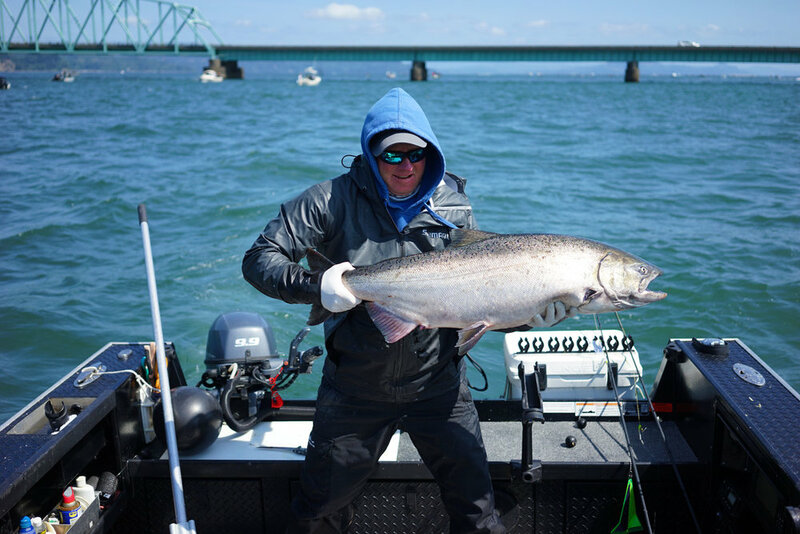 The Columbia River is the largest river in the Northwest and is best known for its salmon, steelhead and sturgeon fishing opportunities. 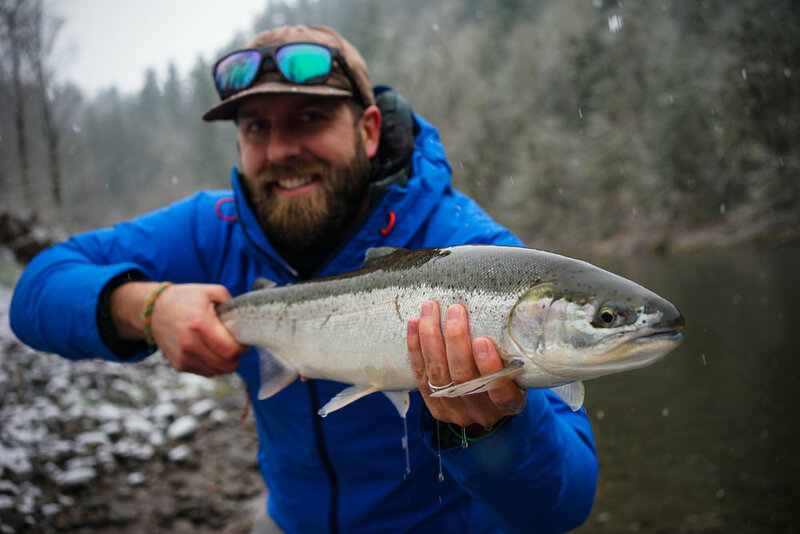 With access points in or near Portland, fishing the Columbia is the least amount of effort if you're coming in for a quick trip. The Oregon Coast or Buoy 10 in the Fall is what all the fuss is about. This is when and where the big "kings" come in to the Columbia and in the best numbers. 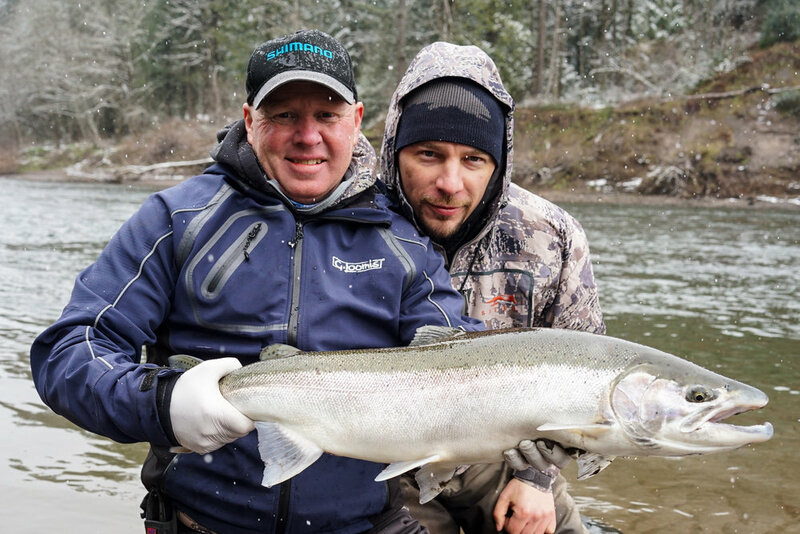 These trips book out quickly so if you're looking to hook a trophy fish this is the place to do it.